Radiating like a flame and set in 18k white gold, the fancy orange diamond ring is one of our most unique gems. 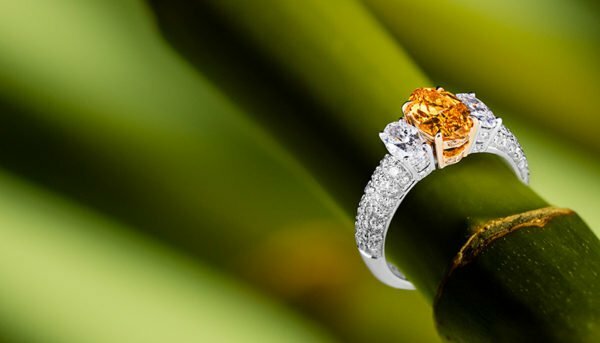 Fancy orange diamonds are one of the rarest found in nature and are highly sought after by connoisseurs, collectors and investors alike. The fancy orange diamond weighs precisely 1.00 carats. 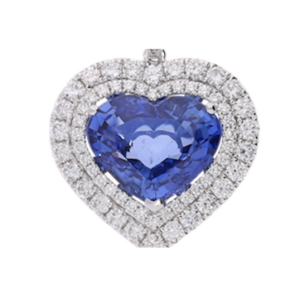 The diamond is flanked by oval-cut diamonds weighing approximately 1.42 carats total. 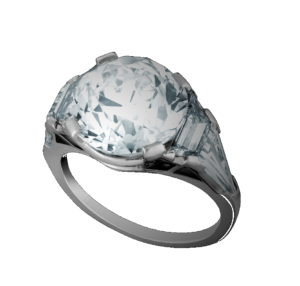 The ring is accented with round-brilliant cut diamonds. The diamond is certified by GIA to be 1.00 carats, fancy yellow orange in color, and VS2 in quality.